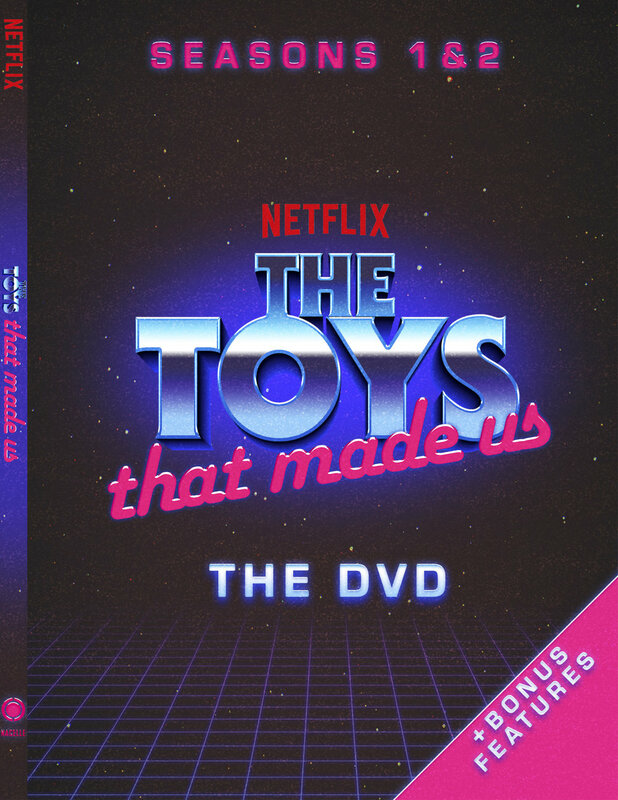 LOS ANGELES, CA– The Nacelle Company announced today that it is releasing seasons 1 & 2 of the acclaimed Netflix series, The Toys That Made Uson DVD on May 7, 2019 through Screen Media. The box set will include previously unreleased bonus footage. The Toys That Made Us is a documentary web television series created by Brian Volk-Weiss. The first season began streaming on Netflix on December 22, 2017,and season 2 was released in May 25, 2018.The 8-episode documentary series, as it was originally touted, focuses on the history of important toy lines. Season 1 focused on the Star Wars, G.I. Joe, Barbie and He-Man toy lines while season 2 featured LEGO, Transformers, Hello Kittyand Star Trek.On July 19, 2018, it was announced at San Diego Comic-Con that the show had been picked up for a third season, with future episodes featuring Power Rangers, Wrestling Toys, My Little Ponyand Teenage Mutant Ninja Turtles. “We’ve been so lucky to get to produce 2 seasons of this passion project and with a third season coming soon, we think this is the perfect time to showcase seasons 1 & 2 in a box set with loads of previously unreleased content.” said Brian Volk-Weiss, CEO of Comedy Dynamics. Founded by Brian Volk Weiss, The Nacelle Company develops, produces, and distributes feature and documentary films as well as TV shows - both scripted and unscripted. Nacelle’s vast array of partnerships include: Netflix, Amazon, HBO, Discovery, A&E Networks, Hulu, Viacom, and many more. The Nacelle Company has produced the hit Netflix docu-series, The Toys That Made Us, CW’s Discontinuedand Netflix’s Kevin Hart’s Guide To Black History.